Is there any way I can have a slideshow of my photos on my Archos AV500? 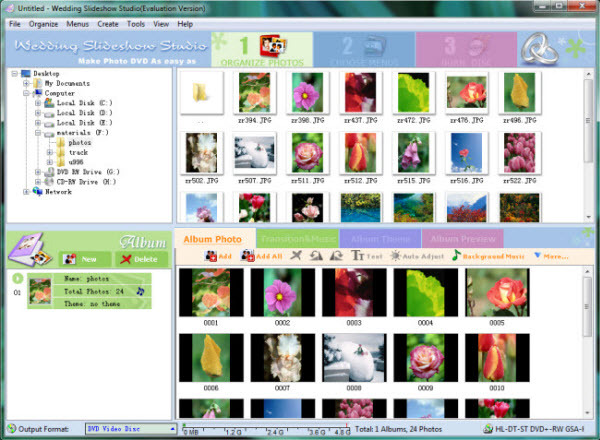 Archos Photo Slideshow can help you convert photos to Archos Movie AVI/MP4 and create photo slideshow playable on Archos AV500, GMini402, AV700, etc. The steps are as easy as 1, 2, 3. After making all necessary settings above, choose "Create -> Create Archos Movie". 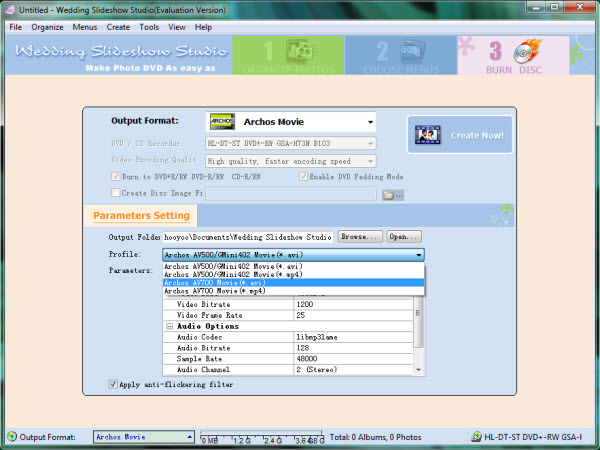 You can also click the "Burn Disc" tab on the interface of Archos Photo Slideshow and choose "Archos Movie" from the "Output Format" list. Click the "Create Now!" button to starting creating slideshow video for viewing on your Archos player. 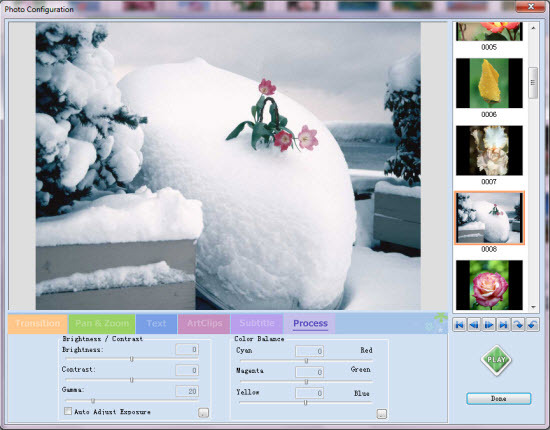 After the whole conversion process, you can get the output .mp4 or .avi slideshow video file in the default output directory or the one you specified. Then you can feel free to transfer the slideshow to Archos AV500, GMini402, AV700, etc. and enjoy it.